Asthma, allergies and other respiratory problems. Sore throat, colds and flus. Memory loss, dizziness, fatigue and depression. The good news? There’s an easy, simple and cost-effective way of instantly improving the air circulation in your home and protecting your health and the well-being of your loved ones. 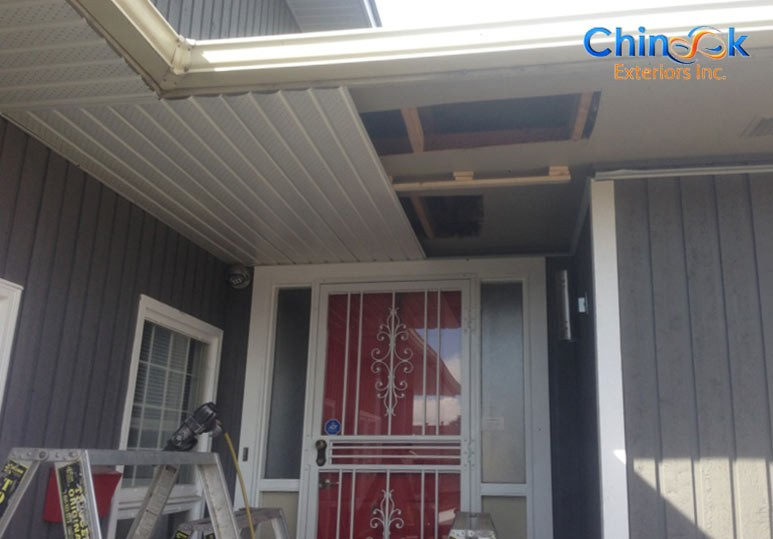 For years, Chinook Exterior has been delivering top quality soffit installation and repair services to Calgary homes, immediately restoring clean and healthy air to households within the city as well as its surrounding areas. Soffit is the board found beneath the eaves of your roof, extending from the side of the house to the edge of the eave, closing up the space beneath. 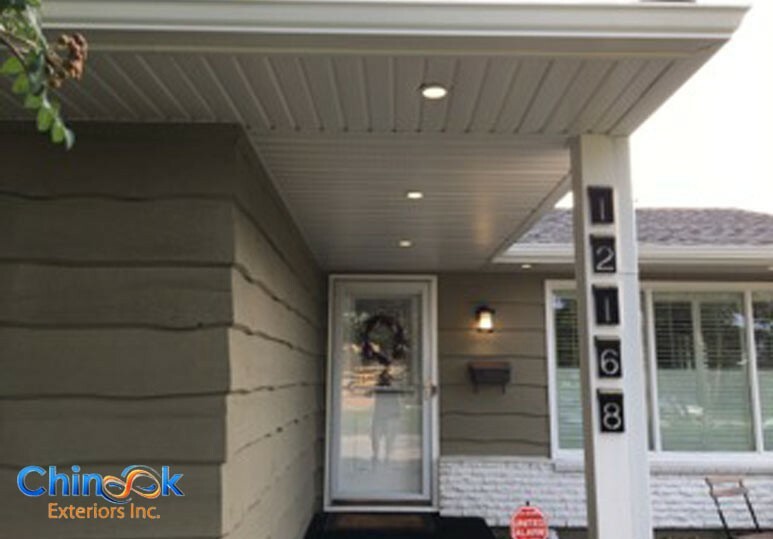 It offers both an aesthetic and functional purpose for your home which is why, at Chinook Exteriors, we offer high-quality, impeccably designed soffit in a variety of materials and colors to suit your personal needs. The main purpose of soffit is to assist with the air ventilation in your home. By allowing cool air to flow into your home while simultaneously permitting warm air to escape out of the exhaust vents, soffit encourages proper air circulation and prevents dampness from forming in your house, eliminating the growth of mould and mildew. Proper attic ventilation protects a home and its occupants from the effects of drastic temperature swings. 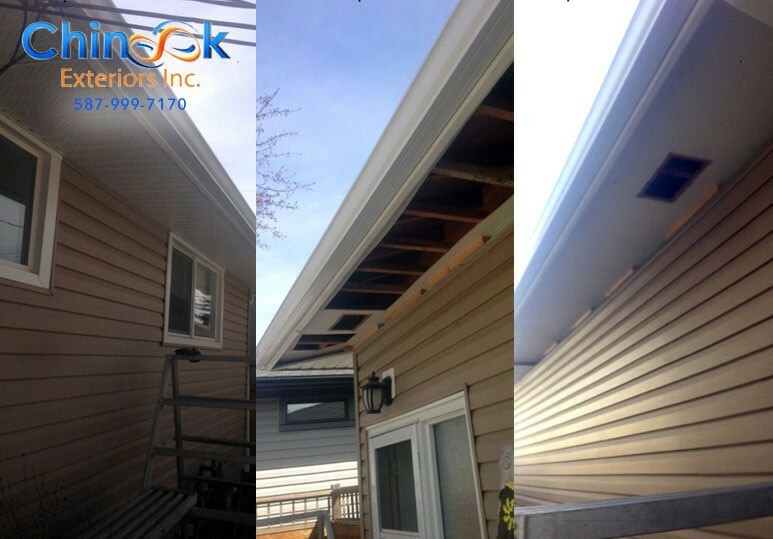 Calgary houses are susceptible to overheating during the warmer seasons which is why investment in soffit is so important. During the summer, hot air in the attic causes the temperatures inside the home to rise. Soffit venting mitigates this build-up, protecting your home from heat damage and reducing the need for air conditioning, keeping your household costs down. Seeping into the structure of your home, ruining your windows, ceilings and walls. It can lead to the development of mildew. If it breaks free, it can pull your shingles and gutters off with it. If it falls it can damage anything it falls on such as windowsills, cars, pets and people. 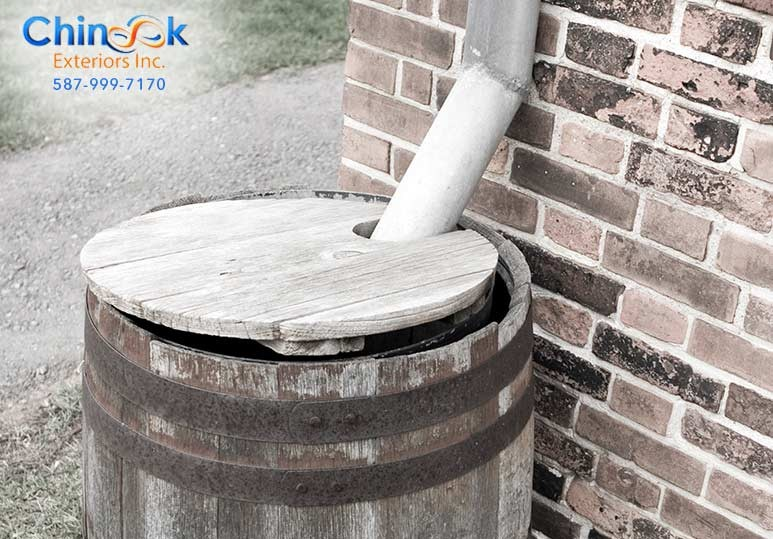 Correctly installed, durable soffit ventilation can protect you from such harm. It keeps your roof cold, preventing snow from melting on it, flowing down into your gutters and refreezing as ice dams. Give Chinook Exteriors a call today at 587-999-7170 or visit chinookexteriors.ca and let us help keep you, your family and your home safe. During your FREE consultation, we will be able to determine where the airflow in your home can be improved and where to install aluminum vents that can address your unique concerns accordingly. 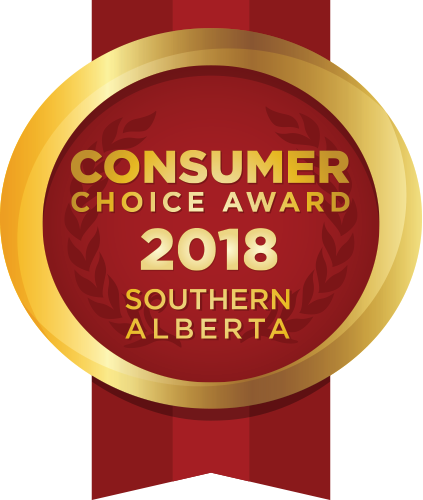 Chinook Exteriors is BBB approved, WCB and Liability Insured and provides 24 hour emergency support to all of our customers. Whatever your home exterior needs, we’ve got you covered!